Almost all better and finally able to swim! The recent New York Times article about American patients seeking medical procedures abroad, where they would be equally effective and much less expensive, rang true for me. Hannah got to experience Croatian health care this week when a little scab on her face blew up into a case of impetigo. In retrospect that should have been obvious, but Terence and I and a couple of pharmacists in Zadar were not sure what was happening. Hannah was a TOTAL trooper hiking around Sibenik and the Krka National Park while feeling lousy and sporting some odd-looking scabs and sores which attracted stares from what felt to her like hundreds of Croatian kids. I tried to tell her it was better to have something like this happen abroad, where nobody knows you anyway and you don’t have to go to school, but I’m not sure I convinced her. So we needed a doctor. Terence flexed his considerable internet research skills and found us a private clinic that specializes in “medical tourism” especially of the cosmetic kind. One reviewer praised the Botox injection she got there. The receptionist seemed happy to have someone show up who actually needed urgent attention. The attending physician was a surgeon who carried both an iPad and an iPhone. He apologized profusely for the fact that he needed to “call in” a pediatrician, who appeared within 5 minutes. We kept trying to tell them this was by far the most relaxing doctor’s visit we had ever made. They all but offered us cappucino. The pediatrician was a kind old dude who prescribed not only antibiotics but probiotics, as well as strong cautions against any kind of bathing. 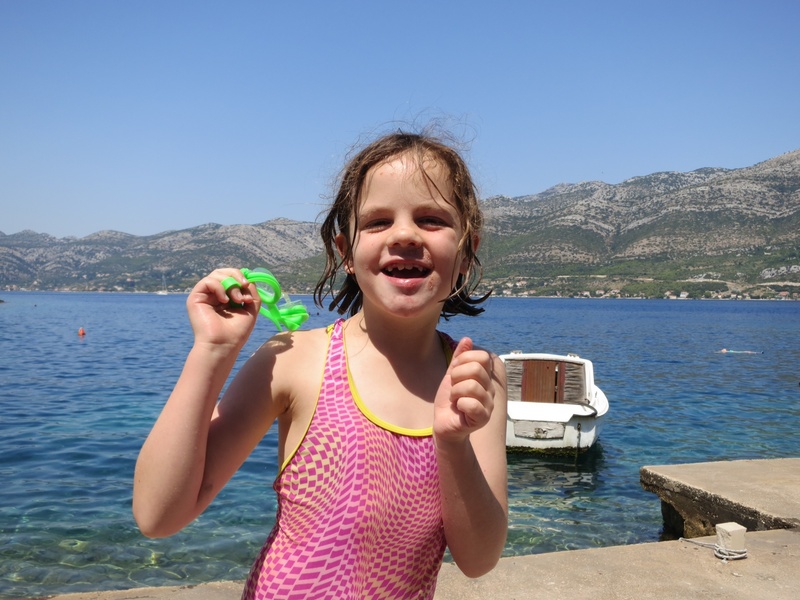 (Advice which was soundly contradicted by a nun we met the next day in Zadar, who said salt water was just the thing for impetigo). I realize this is probably far from average Croatian medical care, but here’s the thing — even in this lap-of-luxury setting, the total bill without insurance was less than we would have paid with Terence’s insurance at home. More evidence that our system is broken. And more insight into my first born, who despite some whines and moans is proving herself to be a tough cookie. What a positive end to the story! Glad Hannah is healed and that you got this taken care of before returning to DE. Will had a very similar experience in Greece on our honeymoon. It’s amazing when you see how easy, effective, and inexpensive good healthcare can be!